Hamlyn St Leger bowl - 4¾" (120 mm) diameter, 1½" (38 mm) high. 1976. 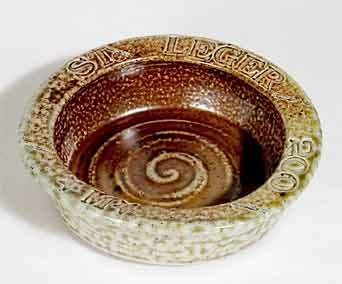 This bowl was made in 1976 to commemorate the 200th anniversary of the St Leger race meeting. It is one of a limited edition of forty and has a grubby card to proclaim the fact.